She graduated with a Bachelor of Fine Arts from the University of the Philippines. A teacher in art and drama for 35 years at the International School of Manila, she was also an art director in Chanel 13. Among her solo shows were “Watercolors with Emi” at the Garden Gallery Makati, Metro Manila and “Mixed Media Portraits” in Jamaica Plain studio in Boston Massachusetts, both in 2000. 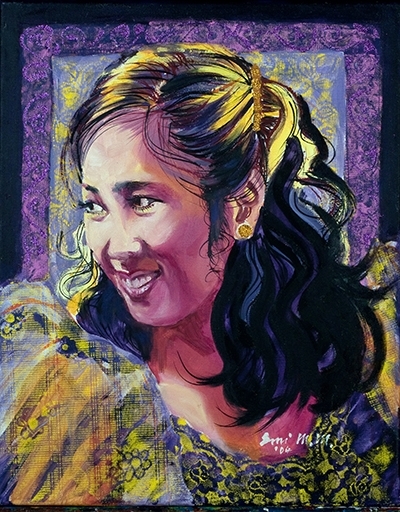 Among her group exhibits were the Society of Philippine American Artists Annual Exhibitions at the Philippine Center and “Celebration in Art” at the Philippine Embassy in Washington D.C.